for the Wexford v Galway Senior hurling match Saturday June to 2nd. €2 per guess. 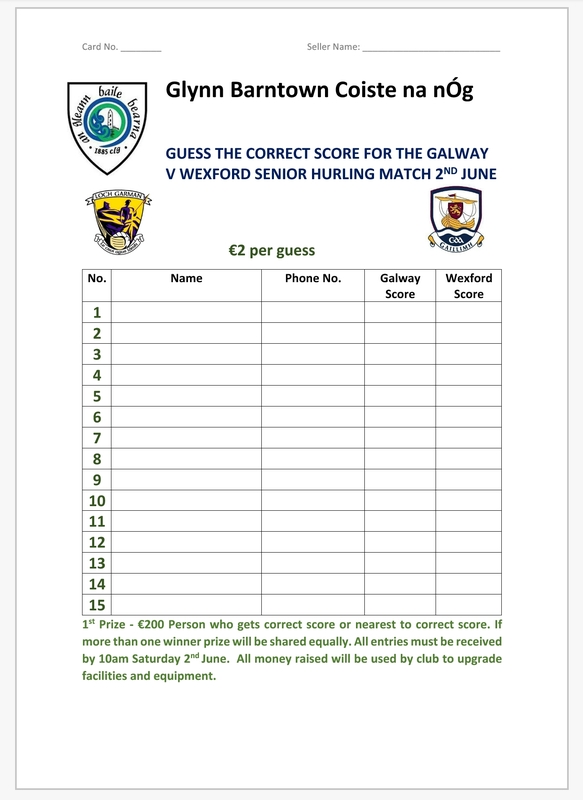 Prize – €200 for correct score or nearest to correct score. If more than one winner prize will be shared equally. All entries must be received by 10am Saturday June 2nd. All monies raised will be used to upgrade facilities and equipment. Managers will be distributing cards to all underage players over the coming days. Cards will also be on sale at the Michael Laffan Memorial Tournament this Sat May 19th and we would appreciate your support.